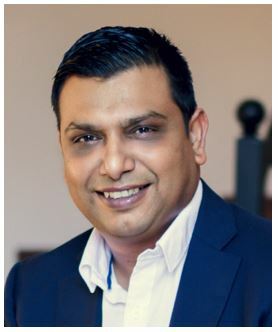 CASSIM KHAN is the group owner and managing director of XDN Office and XTEC PMB. Khan's competitive nature and an appetite for hard work, coupled with a visionary approach to business, set him on an entrepreneurial path from an early age. Khan's beginnings were very humble and his first foray into the working world was as a manager for Debonairs Pizza. He left that position and went to Johannesburg, where he joined the telecom industry. Not long afterwards, in 2002, he found himself in a position at XDN Office as a junior salesperson. Khan worked his way up to account manager, sales manager, and eventually sales director. By 2007, he had bought 30% of the XDN business and went into partnership with the owners. By January 2010, he owned the full 100% shares of the XDN business and was on his way to be an entrepreneur. Khan also bought three PostNet stores and invested in property. In December 2016, he bought XTEC PMB and in its first financial trading year he turned the business around and won Xerox Dealer of the year for 2017 and Sunlyn Finance Xerox Dealer of the Year. Khan says, "I like to invest and spread my wings and buy different businesses. I will never stop, I'm persistent." Drawing on his passion for mathematics - the key to his success is creative problem solving and the implementation of innovative financial systems - he has utilised the 'school of hard knocks' to understand and implement important business lessons learned. Khan says that for his line of business what really helped him to succeed was his mathematical ability. "I have good problem-solving skills, and this allows for calculating proposals for business. Everything I need to know about business I taught myself. I never went to university. From a mathematical point of view, you are always wondering how everything fits into each other and how to get the most out of it. My journey, from the time I became a business owner was to make sure I had all my bases covered. I self-taught myself in each of those areas to make that difference." A highly developed sense of customer service excellence, product quality and speed of delivery, as well as the importance of embracing the latest technological trends and applying the best practice ideal form the cornerstones of his business. In addition, engendering a sound foundation has quickly taken the companies to the forefront of business in South Africa. Khan's leadership style is about leading by example. "I lead from the front, I lead by example. I want my employees to feel that I have set the bar high enough for them to want to be the same. I always get in the field with them and if they get stuck I will go and help them as part of a training exercise." Khan's professional highlights are winning Finance Dealer and Xerox dealer of the year. He says that owning a dealership that is part of an award-winning brand and successfully turning it around has been a huge professional achievement. For Khan the hardest challenge he faced in his business journey was capital. "If you don't have capital it's very difficult to get into business. You are going to have to work your way up." Khan's future plans involve diversifying his already varied portfolio. "Because I am so passionate about business, I want to own businesses across the different industries. I want to become an investor entrepreneur. I believe that I can help other people, I can coach and guide them to places where they need to be. They may require some money and someone to help take them forward. If I have a love for that business or brand I will not hesitate to get involved and help them." He was born poor, but he is determined not to die poor. His driving force is his family, "You want to make sure you can provide better than you've had. I didn't have much growing up, all the things I dreamed of having, I've made sure my kids have." He added that he loves travel, "I want to see new places, I want to see everything there is to see in the world. I am going one place at a time." Khan also admits to having a love for fast cars and enjoys buying new cars. Leaving us with his personal motto, he says, "Something that is close to my heart is when I was in high school, the school motto was: Live and help live. Over the years I've carried that with me, I believe that you should live to the best that you can live and where you have that opportunity to help someone else, do so. It's important for people to know that you should share what you have, if you have an ability in any way to help or guide someone then do so. That's one I will continue to carry forward."